Regular readers of my blog will know that when it comes to Halloween I am slightly bonkers in my enthusiasm. 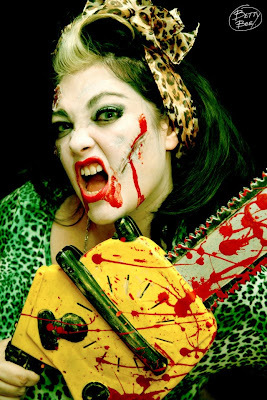 I start planning costumes and parties weeks ahead and as Ive just launched a new Vintage Pamperbox package called Horror gore Hottie where we teach ladies the art of glamorous horror make up I am so in the spooky zone. 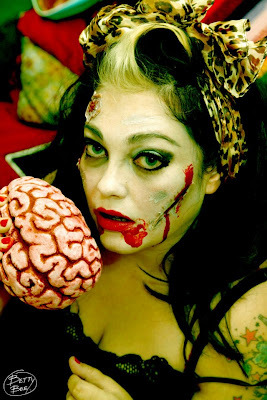 So without further ado here is a quick step by step guide to help you turn yourself into a pin up zombie. Prep your skin. Put a face and eyelid primer on. 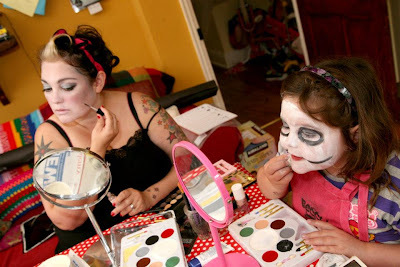 Take a grey facepaint/crayon and draw in hollows in your cheeks and under the eyes. Sweep light grey eyeshadow across your lids. Then use black eyeshadow along the socket line. Take this up at the outer corners to "cat eye" the look and blend with a brush. Dapple black eye shadow along your cheek bones and through your hairline to create a battered smudgy look. You have just clawed your way out of a grave remember! Sweep black shadow through your brows with a slanted brush. Make eyebrows arched. Line your lips. Create a full shape and then apply a layer of red lip gloss. Did you really think i would forgoe lippy? 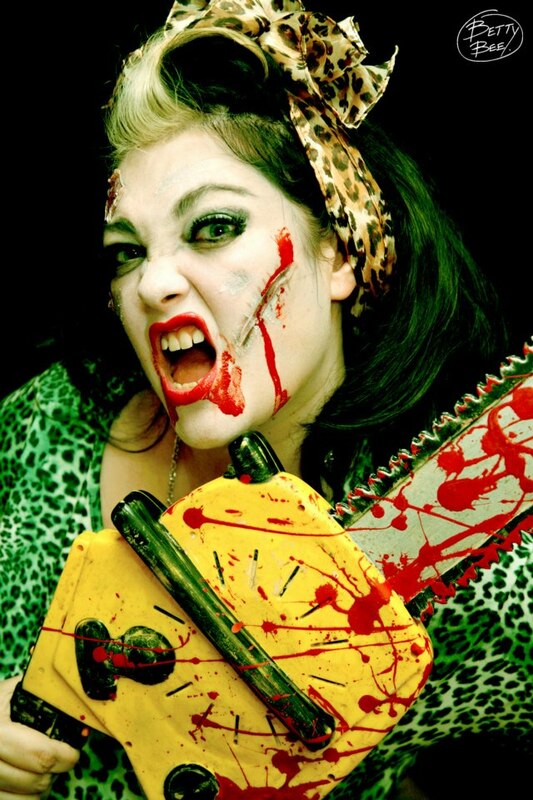 Dab some fake blood on your wounds and lips, make your hair as huge as possible and chuck on a wiggle dress. 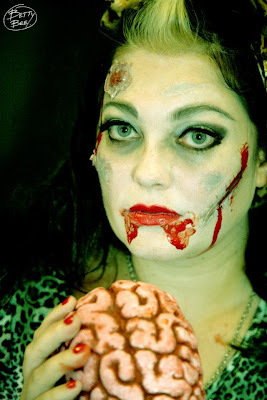 Then chomp on some brains and have a great time!